This Oral History was presented January 30, 2012 at the Tryon Library on Langley Ave. by Michael Wernicke. 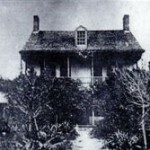 Mariana Bonifay house built on Gull Point in the early part of 1800. Thank you for inviting me here to talk about Gull Point, the Pensacola Tar & Turpentine Company, and the Wernicke family’s part in that. I think I’d better start saying that I am not a historian, not even an amateur historian, I am just relying on the writings of others, especially family documents that were put together by my Aunt Julia Wernicke and others. I know that some of you are very good historians, so I beg your indulgence if in spite of the of the good assistance from others, I get something wrong! I’m going to start out by describing Gull Point physically, then talk a little about its early history. After that I’ll talk about Pensacola Tar and Turpentine Company, then my great-grandfather’s role in all this, and finally some some personal memories. 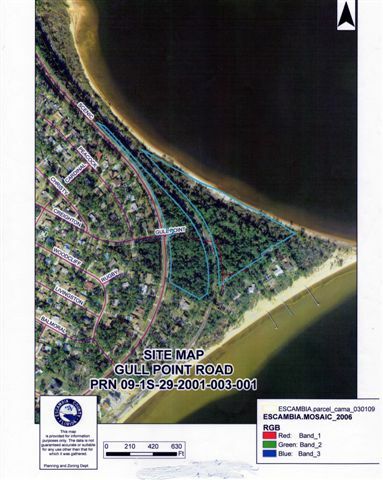 Tonight I’m going to be talking about Gull Point, specifically the 25 or 30 acre area between Scenic Highway and Escambia Bay, just beyond where Creighton Road dead-ends into Scenic Highway. It’s roughly triangular in shape, ending in a sharp point of land projecting eastward into the bay, which is Gull Point itself. The point actually continues underwater as a sand bar for quite a distance into the bay, and there is a navigational light marking the end of the point and the edge of the shipping channel up the Escambia River. The point itself is known as “Devil’s Point” on nautical charts, presumably because of the number of ships that came to grief on the sandbar. But the point is frequently covered with seabirds, including lots of gulls, and over time the larger area has become known as Gull Point. North of the point and sandbar, the water gets deep pretty quickly, and there is a steady south-eastward current which runs close to the land and sweeps out into the bay. South of the point, the water is very shallow a long way out. My father used to tell me that if there were no water in the bay, it would look like nothing so much as a very flat, very large open field. There is a railroad running through Gull Point, more or less parallel to Scenic Highway. When I was a boy it was the Louisville & Nashville, but now it is owned by CSX. Personally, I think the older name was more romantic! The topography of the land slopes very gently from the railroad right-of-way, which is about 22 feet above mean sea level, down to the shoreline. 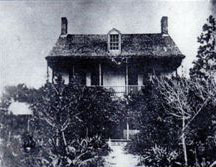 There is a row of six houses close to the shore on the south side of the point, and the elevation of the land at the row of houses is about six or seven feet above sea level. 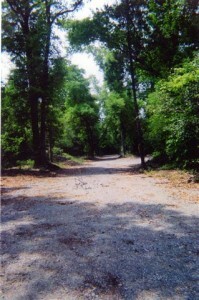 Most of the site is heavily wooded, largely with live oaks. Read part 2 of this 4 part series. The Navy Adopt-A-Highway on Scenic Highway A Big THANKS to these fine folks on a job well done! Receive email notifications when the History blog has updates.